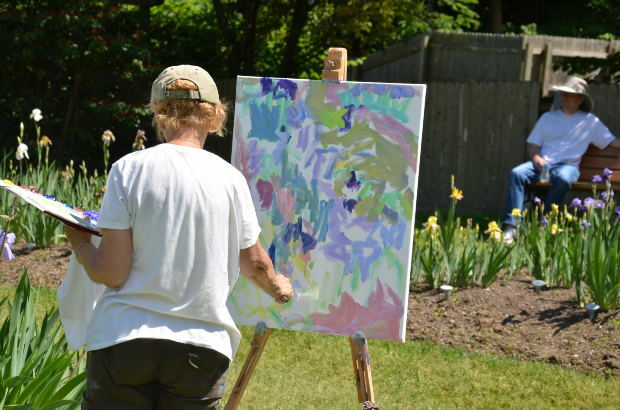 Senior living communities have many activities, today. Occasionally, I allow retirement experts in specific fields to write a guest post for this blog, if I believe it is on a topic that would be of interest to Baby Boomers … either those who have already retired or those who are planning to retire. The guest post below was provided by Jacqueline Hatch of Seniorly and deals with the ways in which senior living communities are changing so they will be more attractive to Baby Boomers as we age. Seniorly helps match retirees with senior housing in California, but the information Jacqueline provides in this post applies to similar communities throughout the United States. Whether we like to think about it or not, most of us will eventually need to spend a portion of our lives in an independent living retirement community, an assisted living facility or a skilled nursing home. Many of us may have preconceived opinions about these types of living arrangements, especially if our parents or grandparents have lived in one. However, Baby Boomers will be pleased to know that many of these types of residences have improved dramatically over the past few years. The guest post below discusses some of the improvements you might expect to see in one of today’s senior living communities. It also explains how you can find more information about living options in California, if that is where you want to retire. Baby boomers entering retirement age have a different set of expectations when it comes to considering residency at assisted living, independent living, and skilled nursing communities. To meet these specific needs and preferences, communities are now transforming to improve their offerings, making their homes more marketable to a younger demographic. Senior housing providers are looking to rebrand in order to highlight their full continuum of care, going beyond basic needs such as health care to offer more to their residents. It’s not uncommon for these communities to offer art and music classes, film nights, community outreach options, lifelong learning programs and even happy hours for the enjoyment of community residents. After all, one of the greatest benefits of living in a care community is the socialization aspect. In their effort to attract boomers, communities are working to highlight the aspects of their programs that support socialization. Communal dining options, fitness classes and philanthropy opportunities all appeal to younger folks who want to remain happy, active and engaged as they age. Our friends at Seniorly.com share articles and blogposts on the topics of aging, health care and fitness for older adults. Do you need to find senior housing for yourself or a loved one? Make the search process easier by signing up with Seniorly for free; you’ll get access to local community profiles, as well as a friendly customer support team and information on pricing and availability. Are you looking for additional information on where to retire in the U.S. or abroad, financial planning, common medical issues, Social Security, Medicare or more, use the tabs or pull down menu at the top of the page to find links to hundreds of additional articles. Thanks for featuring Jacqueline Hatch's article. It's good to learn about Seniorly. It offers a unique service - a little like Zillow for boomers!